Explanation: The active Sun has thrown a lot our way lately, including storms of particles streaming outward in the solar wind and clouds of plasma which triggered awesome auroral displays. Still, a growing body of intriguing observations from the LASCO instrument on board the space-based SOlar and Heliospheric Observatory (SOHO) indicates material also flows back toward the Sun, starting from over 2 million kilometers above its visible surface. 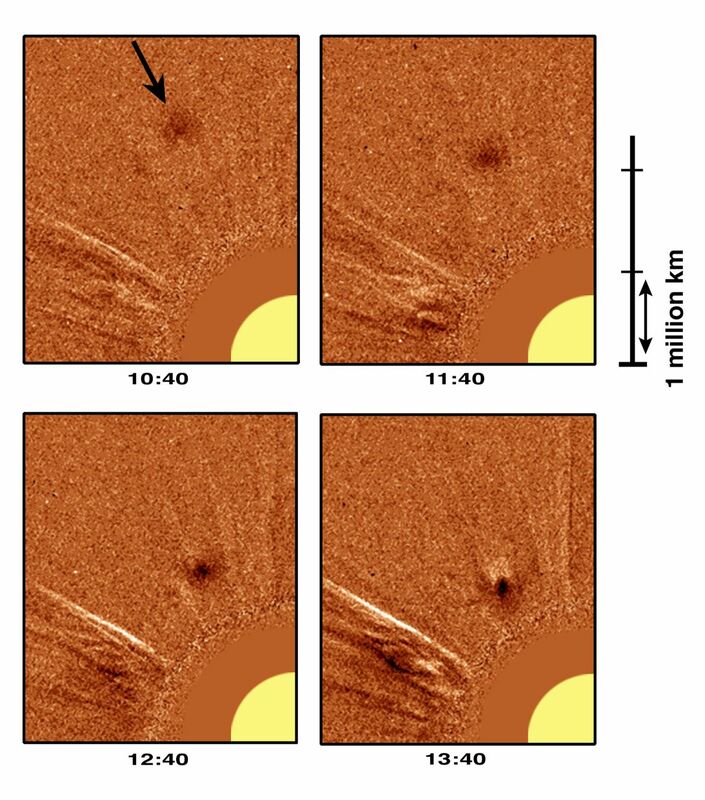 Relatively hard to detect against the outflowing solar corona, a dark inflowing cloud's relative motion is tracked above in two highly processed images recorded an hour apart. The solar surface, graphically shown by the yellow quarter circle at the lower right, is blocked from view by a smooth occulting disk. Fighting against a solar wind outflow of about 120 kilometers per second the cloud seems to be moving inward at 50-100 kilometers per second. Occasionally appearing as often as once per hour, the clouds, seem to be dragged in by collapsing magnetic field loops rather than gravity alone. 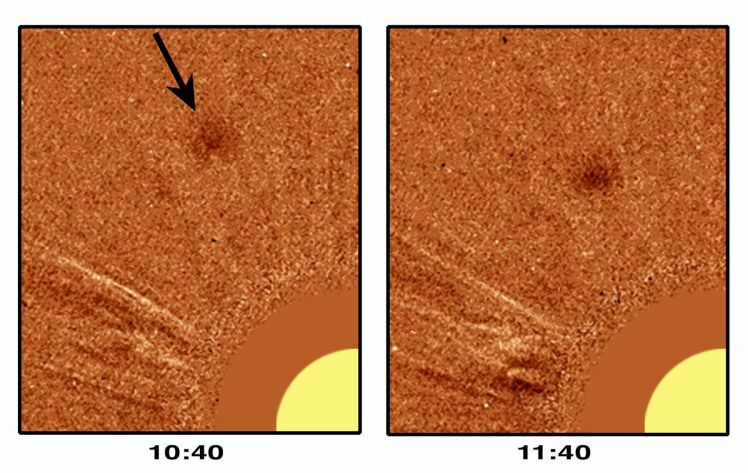 Researchers are now working to relate this surprising inflow to the solar wind and magnetic environment of the Sun.